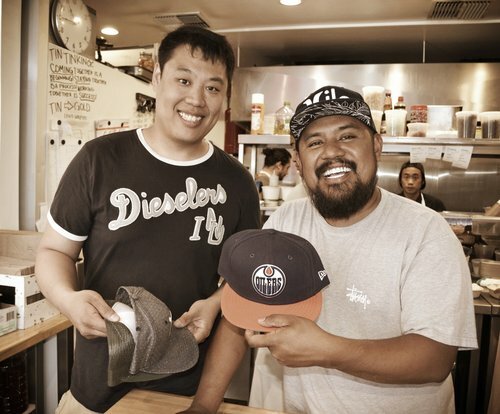 Blog — 'Ono Poke Co. 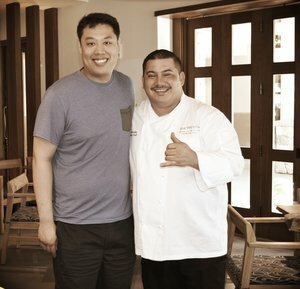 It was after meeting some of Maui's most acclaimed chefs that chef Lawrence Hui cemented the simple reason why he cooks - pure, unadulterated happiness. Growing up, Hui cooked with his mother, learning that food wasn't just fuel, it was an art form, ripe with opportunity for innovation and creativity. Chef Lawrence Hui, a graduate of NAIT's culinary program and Red Seal chef, has refined his skills over the last 13 years in the city of Edmonton. As sous chef, Hui worked in the kitchens of Cactus Club, Radisson Hotel, and Wildflower Grill. With the opportunity to run his own kitchen and introduce a cuisine not experienced in Edmonton, Chef Hui knew it was important to get it right. He was wary of being another mainlander with no understanding of the culture he was pulling from. He knew he had to go to the source. It was on the gorgeous island of Maui where he experienced the relationship between the people of Hawaii and the land and water that surrounded them. Whether it was watching a local stride into the ocean to catch their meal, or discovering that unsold pineapples are not disposed of, but allowed to return to the soil, enriching it, it was evident there was a respect for the earth that permeated every inch of the islands. I was so humbled by the generosity of Maui's culinary pros. These amazing chefs invited me into their kitchens, homes, and hearts. I hope to give Edmontonians a taste of Hawaii, one that will make my new mentors proud. 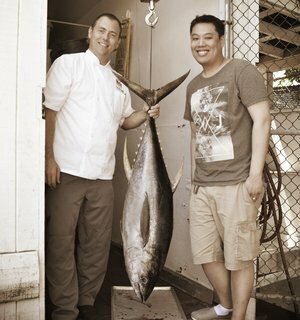 After receiving the opportunity to cook alongside his peers – acclaimed chef Tom Muromoto (Ka'anapali Beach Hotel), chef Charlie Owen (Hula Grill), chef Ikaika Manaku (The Westin Nanea), and chef Jesse Anacleto (Roy's Ka'anapali) – and explore the island and its markets with chef Sheldon Simeon (Tin Roof), Chef Hui had absorbed several lifetimes of tradition. 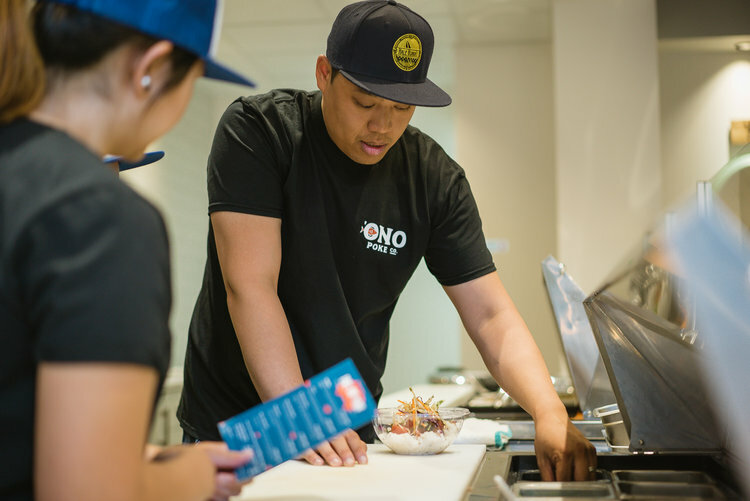 On his return, he opened the doors to 'Ono Poke Co. 'Ono means delicious in Hawaiian. The simple truth is that delicious food brings people happiness and that's precisely the reason the up-and-coming chef began cooking in the first place.